About 15 million Americans will have either Alzheimer’s disease or mild cognitive impairment by 2060, up from approximately 6.08 million this year, according to a new study by researchers at the UCLA Fielding School of Public Health. Ron Brookmeyer, professor of biostatistics at the UCLA Fielding School of Public Health and the study’s lead author, said the findings highlight the need to develop measures that could slow the progression of the disease in people who have indications of neuropathological changes that could eventually lead to Alzheimer’s dementia. The population is aging, and with it comes a growing number of people with Alzheimer’s disease, he explained. The study is published in the peer-reviewed Alzheimer’s and Dementia: The Journal of the Alzheimer’s Association. It is the first to estimate the numbers of Americans with preclinical Alzheimer’s disease or mild cognitive impairment. For the study, Brookmeyer and his team examined the largest studies available on rates of progression of Alzheimer’s disease, then used that information in a computer model they created that took into account the aging of the U.S. population. The model projected the numbers of people in preclinical and clinical disease states. The findings are concerning: The researchers believe that by 2060, about 5.7 million Americans will have mild cognitive impairment and another 9.3 million will have dementia due to Alzheimer’s. Of the latter group, about 4 million Americans will need an intensive level of care similar to that provided by nursing homes. Mild cognitive impairment is an intermediate clinical stage that does not yet meet the threshold for dementia. In addition, Brookmeyer estimates that today about 2.4 million Americans are living with mild cognitive impairment due to Alzheimer’s disease. “An estimated 46.7 million American adults over age 30 are in this hypothetical preclinical stage of Alzheimer’s disease and another 2.43 million have mild cognitive impairment due to Alzheimer’s disease, although many will not progress to dementia during their lifetimes,” Brookmeyer and colleagues wrote. Alzheimer’s is the most common form of dementia. There’s no cure for it, but several studies have shown that dietary improvements, exercise, and other healthy habits can prevent Alzheimer’s in some people. Alzheimer’s is not just a disease of old age. Younger-onset (also known as early-onset) Alzheimer’s affects people younger than age 65. Up to 5 percent of the more than 5 million Americans with Alzheimer’s have younger-onset. Doctors do not understand why most cases of early onset Alzheimer’s appear at such a young age. But in a few hundred families worldwide, scientists have pinpointed several rare genes that directly cause Alzheimer’s. People who inherit these rare genes tend to develop symptoms in their 30s, 40s and 50s. When Alzheimer’s disease is caused by deterministic genes, it is called “familial Alzheimer’s disease,” and many family members in multiple generations are affected. Alzheimer’s is the sixth leading cause of death in the United States. Those with Alzheimer’s live an average of eight years after their symptoms become apparent to others, but survival can range from four to 20 years, depending on age and other health conditions. For in-depth information on those signs and symptoms, please see 10 Early Signs and Symptoms of Alzheimer’s. Scientists agree that in the vast majority of cases, Alzheimer’s probably develops as a result of complex interactions involving multiple factors, including age, genetics, environment, lifestyle, and coexisting medical conditions. Although some risk factors (such as age or genes) cannot be changed, other risk factors usually can be changed to help reduce risk. Several conditions known to increase the risk of cardiovascular disease – including high blood pressure, obesity, smoking, and poorly controlled Type 2 diabetes – also increase the risk of developing Alzheimer’s. These risk factors are also linked to vascular dementia, a type of dementia caused by damaged blood vessels in the brain. 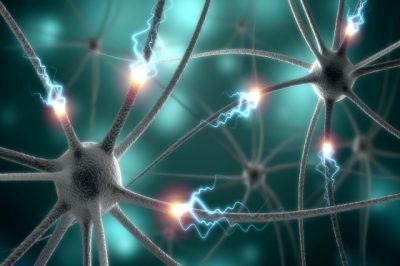 Some autopsy studies suggest that as many as 80 percent of individuals with Alzheimer’s disease also have cardiovascular disease, and that plaques and tangles may be present in the brain without causing symptoms of cognitive decline unless the brain also shows evidence of vascular disease. His name is Dr. Dale Bredesen, and he’s the author of a fascinating book called The End of Alzheimer’s: The First Program to Prevent and Reverse Cognitive Decline. An internationally recognized expert in the mechanisms of neurodegenerative diseases such as Alzheimer’s disease, Dr. Bredesen has conducted some promising studies on the associated loss of memory and has developed a therapeutic approach that proving to be effective. In 2014, Dr. Bredesen shared the findings of a very small study on a personalized and comprehensive treatment program he developed to reverse memory loss. That study, published in the journal Aging, was the first to suggest that memory loss in patients may be reversed – and improvement sustained – using a complex, 36-point therapeutic program that involves comprehensive diet changes, brain stimulation, exercise, sleep optimization, specific pharmaceuticals and vitamins, and multiple additional steps that affect brain chemistry. Bredesen’s approach is personalized to the patient, based on extensive testing to determine what is affecting the brain’s plasticity signaling network. That study was conducted on a group of 10 – but as of September 2017, over 1,000 patients have had success with Dr. Breseden’s protocol. In this video, Dr. Mark Hyman and Dr. Breseden discuss Alzheimer’s, the role of inflammation and insulin in its development, and remarkable stories of real patients who have had incredible success on the The Breseden Protocol. In this video, neurologist Dr. David Perlmutter, author of the book Grain Brain: The Surprising Truth about Wheat, Carbs, and Sugar–Your Brain’s Silent Killers, and Dr. Breseden discuss Alzheimer’s disease and the protocol.